The capital city of erstwhile West Germany, Bonn is one of the earliest cities in Germany and holds great historical significance. The city lies on the banks of River Rhine, which was natural barrier against the forces entering German heartland. The city offers a panoramic view of the river, the old churches and castles, museums and forts. 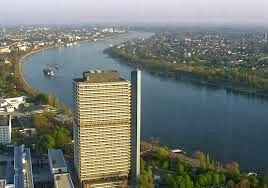 The city is known as the birth place of Beethovan and present day Bonn houses 19 institutions of the United Nations. The city is accessible by all modes of transport. Bonn is connected by three Autobahns linking it to all major German cities. The high speed rail connects Bonn with Frankfurt is matchless. Bonn’s Cologne Bonn airport offers connectivity to all the major cities of the world. It is located in Bonngasse near the central market place. Besides being the birthplace of Ludwig-van-Beethovan, it houses a library, museum which documents his works and composition and a music chamber where all the artists from all over meet and discuss music. Beethovanhalle also associated with Beethovan, is a concert hall which is also a symbol of contemporary Germany. With a seating capacity of 2,000 seats it stages best concerts and orchestra and also hosts exhibitions, paintings, parties and carnivals. This castle was built way back in the 13th century on a hill of Volcanic origin. In its history of over 800 years, the castle has undergone a lot of ramifications resulting in modifications. 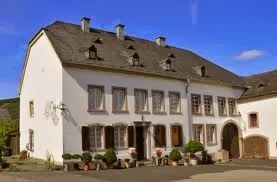 This place is worth a visit and present day Godesburg houses a hotel and a cafe. 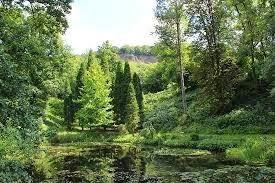 This natural park is located on the banks of River Rhine,the origin of which dates back to mid 19th century. It houses nearly 800 species of plants, shrubs and trees. The park is open twice a month and the admission is free. It is the research university located in the centre of the city. It has a notable list of alumni to its credit. The university also has a public library, a university hospital, a museum. The university museum is a great ground for learning. It has a noteworthy collection of objects and masterpieces from all round the world that includes collection from ancient Egypt, collection of mechanical calculating machines, objects of natural history and botanical garden The Hofgarten (Court garden), and Electoral Prince’s castle are also located close to the university. Bonn is really an amazing place for history buffs and you can really have a great experience visiting this place.